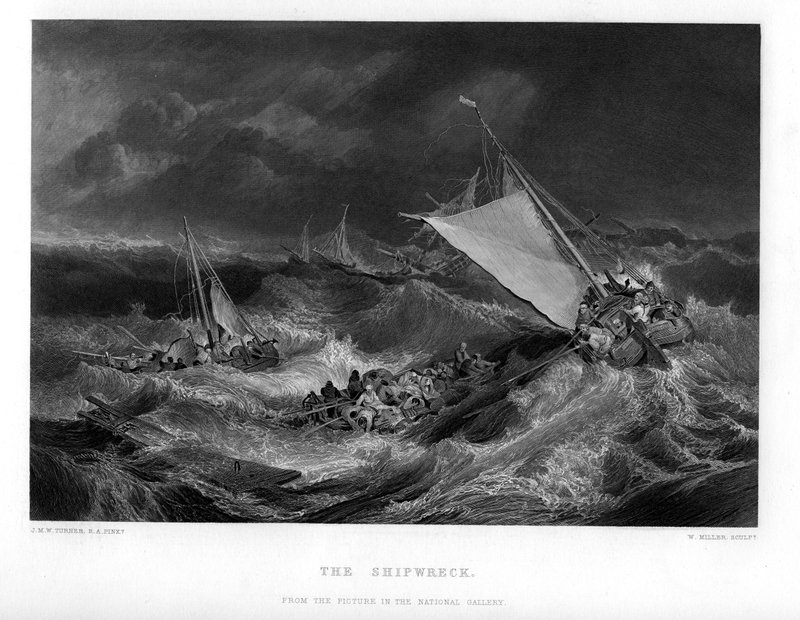 The Storm engraving by William Miller after Van de Velde, published in 1858. We’re in the midst of yet another storm here in the UK. I might have enjoyed them as a child, but now they set my mind racing, first to worrying about safety on the roads and to property such as houses and boats, and then I start thinking of those at sea, and finally the lifeboat crews who have to go to sea in a storm that’s already raging when they leave the land. It’s enough to stop me sleeping, but in the scheme of things that’s a minor irritation. Last night I found myself thinking about grandeur and truth of the hymn For Those in Peril on the Sea. Here are the lyrics complete with written-out music. Here they are again with a playable midi sample. Here The Daily Telegraph newspaper tells the hymn’s story. 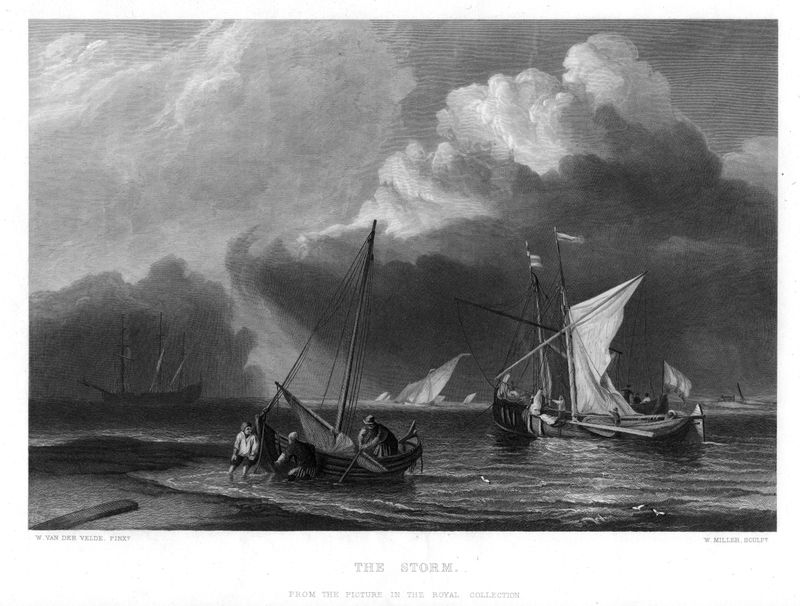 For a little history, read a historical discussion of how Scottish fishermen coped with storms before the days of weather forecasts and also about how storms affected the fishing community at Polperro, Cornwall. Again, here’s a 19th century story of heroism in the North-East of England. I’ve also been thinking about the terror of going out onto a big sea in a small open without the benefit of a weather forecast. No doubt that spawned a host of superstitions and the slightly neurotic activity described in the song The Candlelight Fisherman. There’s a joke that some allegedly lazy fishermen wouldn’t go if the flame didn’t blow out, on the grounds that there would be no wind to carry them home, and like most jokes I’m sure it had some grain of truth. Also, see Out on a Shout, the RNLI’s rescue activities as they happen. In case you’re wondering, there have been a lot of launches in the bad weather of this winter. I started off by saying that we’re thinking about storms here in the UK, but I’d argue the weather is making many of us think of more than just the weather. Stay safe and stay alive, everyone. PS – If you get a moment, print out the Miller engravings – on some nice paper, they could be just what you need to hang on your wall! as part of a series of 120engravings from Turner’s paintings. Share this with friends using the Share this link below.